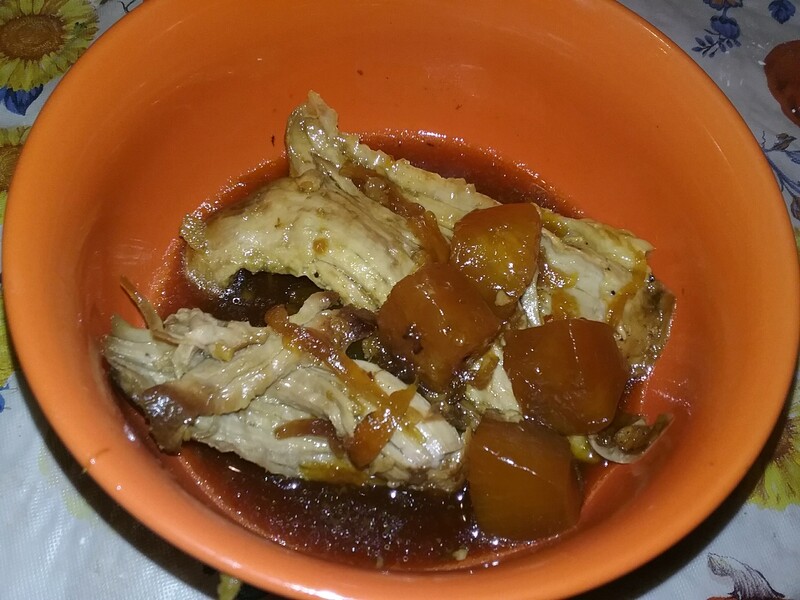 Slow Cooker Sweet and Sour Pork Loin – What's for Dinner Moms? My first post about a Sweet and Sour Pork Loin was back in 2014 (click for link to original recipe). As our tastes have changed and my confidence in cooking has grown so has the recipe for our Sweet and Sour Pork Loin. The first recipe was very simple and the kids liked it but our new pork loin recipe is so much better. This was tangy and had quite a bit of flavor. Serve it over rice or noodles with the sauce drizzled over the top. You do not need to sear the pork loin before adding it to the slow cooker but it adds to the flavor and keeps it together a bit better while cooking. If you want pork that you can slice rather than shred use your thermometer and watch it carefully. Leaving this dish to cook for 8-10 hours will leave you pulled pork not a pork loin you can cut. To complete the meal serve with a side salad and green vegetable. In a large skillet over medium-high heat add olive oil. Add pork loin searing on all sides until a nice golden brown. Add pork loin to the slow cooker. Cook onions and garlic in skillet for 3-4 minutes to become fragrant and onions begin to soften a bit. Add onions and garlic to slow cooker. Mix in pineapple, honey, soy sauce, brown sugar, red pepper, salt, and vinegar in the slow cooker. Cover and cook on low for 6-8 hours. Test temperature of pork loin with a thermometer. Before serving remove pork, onions, and pineapple from slow cooker. Turn slow cooker up to high. Mix corn starch and water in a small bowl until corn starch has dissolved. Pour into slow cooker and stir well. Cover and let sit for 15 minutes. Stir well and taste. Adjust spices as necessary. IF sauce needs to be thicker add a corn starch and water mixture of 1 teaspoon at a time stirred into the sauce. Allow to rest at least 10 minutes between additions. Return pork, onions, and pineapple to slow cooker and stir well to coat. Serve over rice or noodles.